Size doesn’t always have to matter. We’ll help you squeeze in everything you want to say into a space that’s about the size of your palm, and we’ll do it without breaking a sweat (or a screen). If you’ve been looking for a mobile app development company, you’ll realise that mobile app development in Malaysia is a huge playing field. 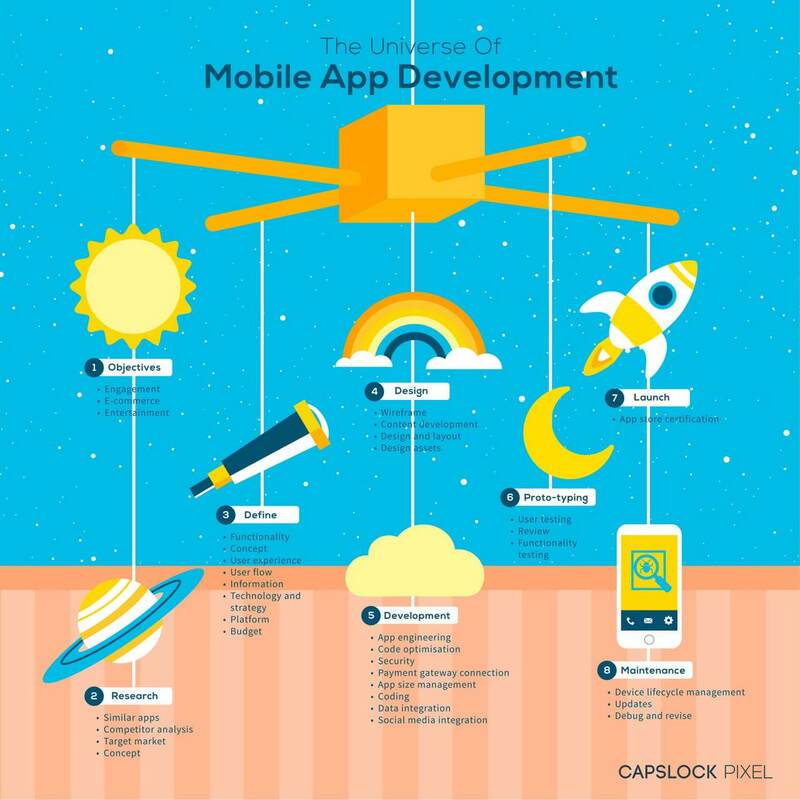 What we offer as a Malaysian app developer is our penchant for experimentation, backed-up by our technical know-how. We’re also more than happy to get as creative as possible as your creative digital agency! Whether it’s an app for e-commerce, memberships, subscriptions, or just plain ol’ fun, we’re one app development agency in Malaysia that believes there’s app-solutely nothing we can’t do! The sky (or phone’s memory space) is the limit, as far as we’re concerned. Our android developer and iOS developer team will be happy to create the app your brand needs. So give us a call today if you looking to build an outstanding app.